Please contact us if you are interested in adopting an adult poodle. Our goals and missions are to have our puppies as messengers of Love to the families where they are needed. 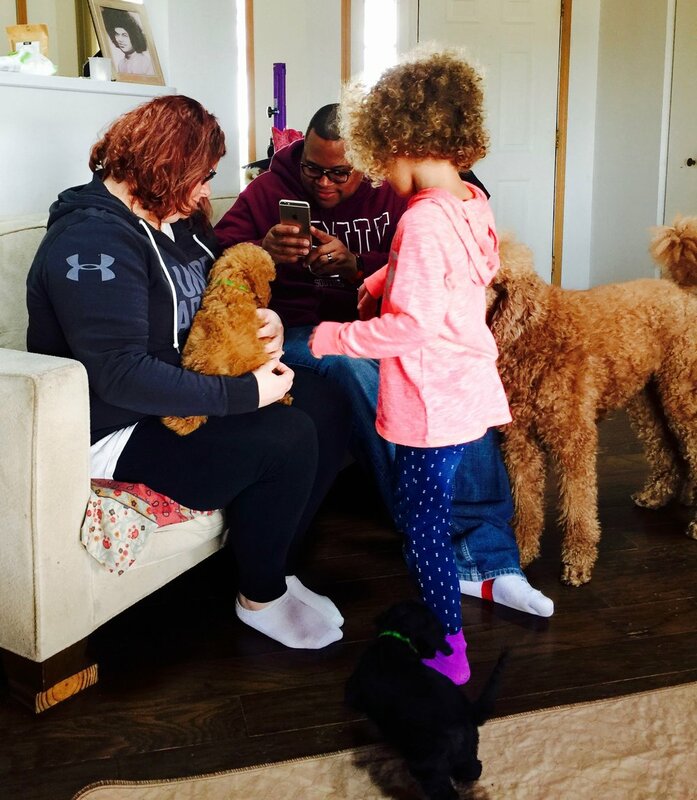 Many Families are training puppies to become Therapy and Service dogs. CLICK HERE for more puppy photos. 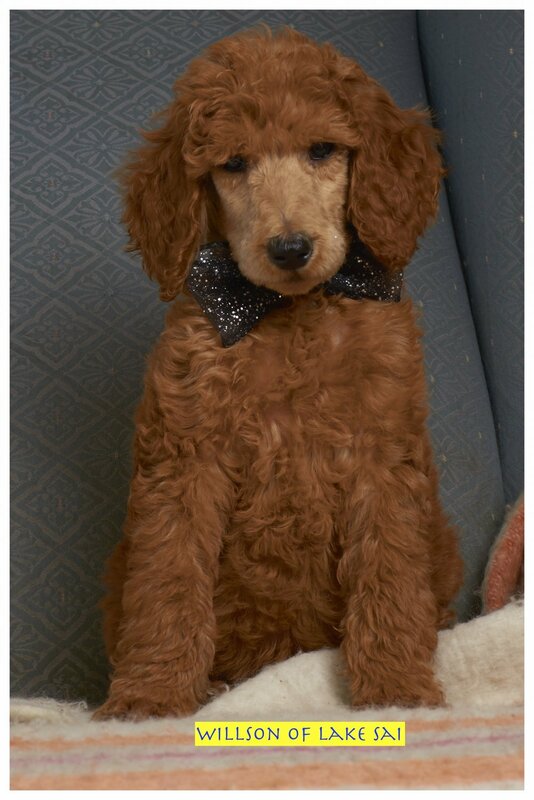 We are standard poodles breeder with a dedication and passion for preserving the wonderful Standard type, temperament and versatility that is the hallmark of the Standard Poodles. 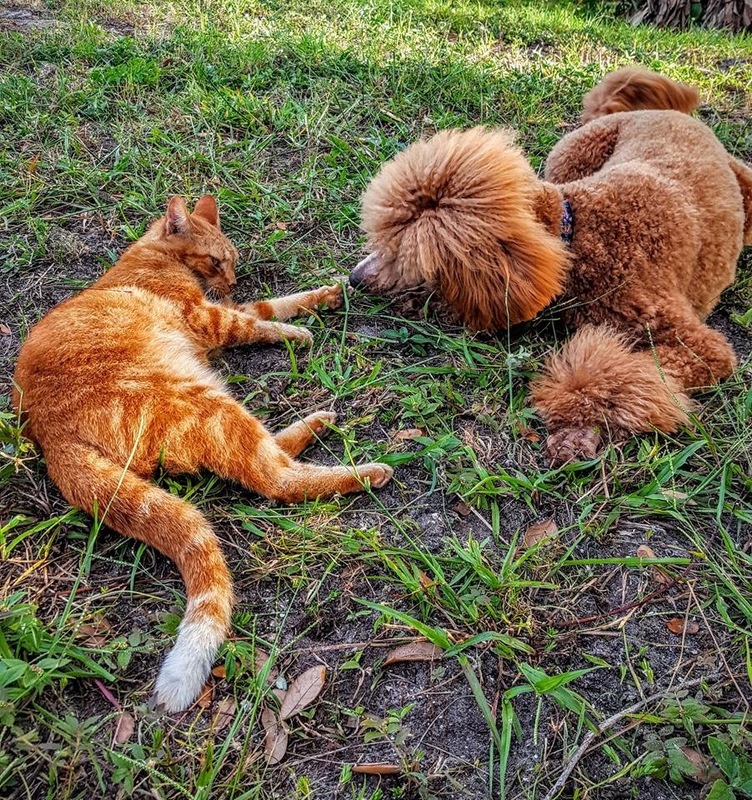 We share a passion for the breed and a vision of the near “perfect Poodles”. Breeding a litter should begin with knowledge. Our Poodles are our love and our family members. We feel there is an "ART" to producing a special litter. Every litter is planned with a goal and purpose. Our litters are thought through with the research of pedigrees and we choose the stud dogs who will best compliment our girls. We strive to produce healthy Standards that are expressive, loving and intelligent. We also want our Standard to be strong SERVICE AND THERAPY orientated with the beauty of correct conformation. Most of all we want our Standards to portray the sweet loving temperament that they are well known for. 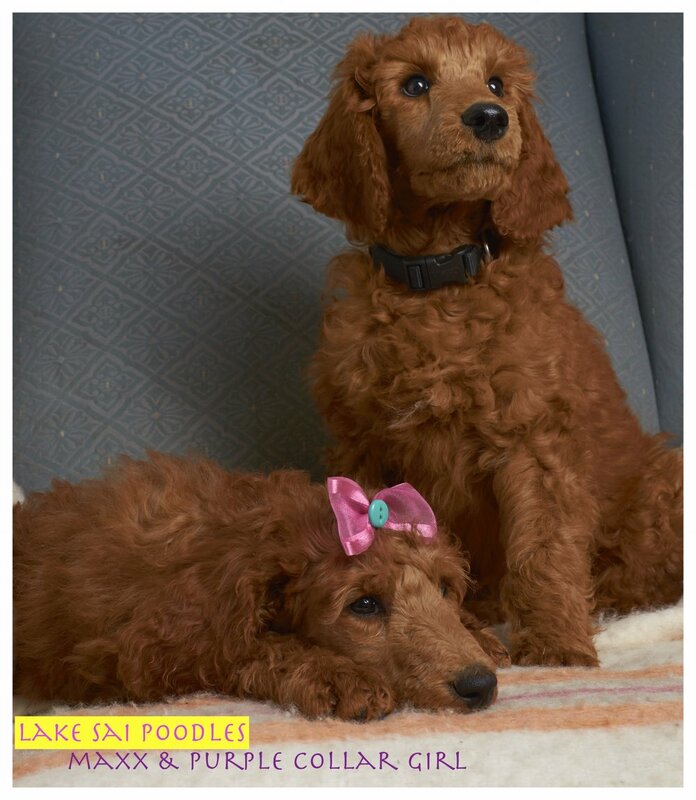 Thank you for visiting Lake Sai Standard Poodles We are thrilled to show you our family and share some of the many blessings we have received over the years. 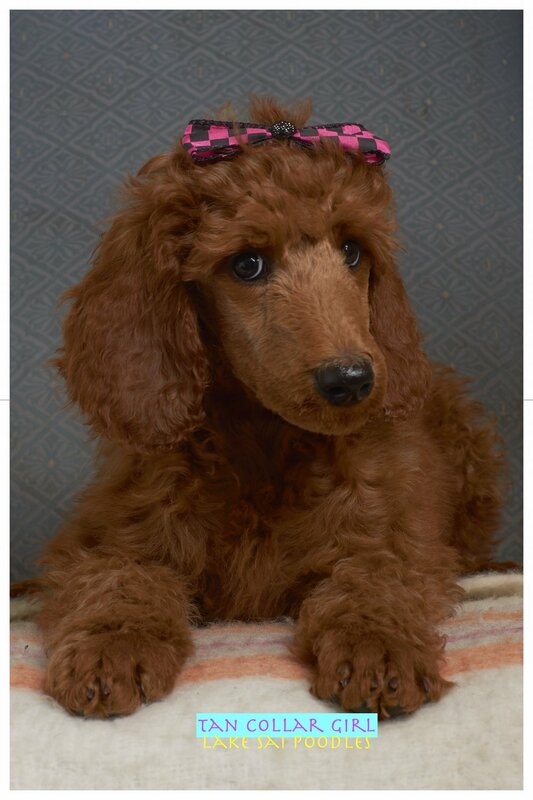 Lake Sai Standard Poodles is an Avidog Associate Breeder! "Science tells us that the dogs we choose to breed, the care and nutrition we give these parents and how puppies are raised until they go to their new homes sets the stage for a dog’s lifetime health and temperament. Avidog Associate Breeders have publicly committed to using scientifically sound methods, along with a lot of love and kisses, to raise their puppies." 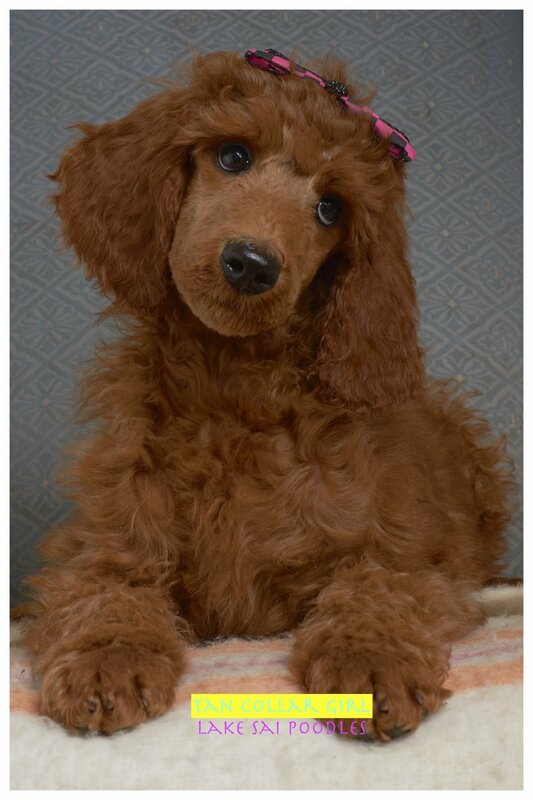 We want your pet poodles have show dogs qualities, healthy and loving body and mind. 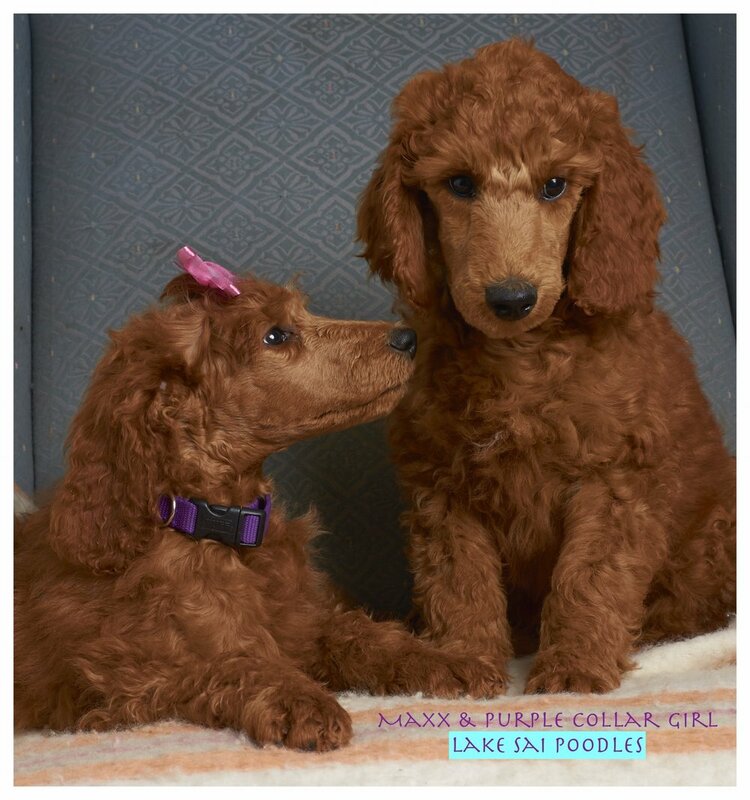 CLICK HERE TO VIEW THE PAST FEW LITTERS OF PUPPIES..
Lake Sai Poodles are not just Poodles. They are Healthy, BeautiFULL, The Very High Quality Poodles living in our Certified Organic Farm and sleep in our home. Most dogs have been into Show/Agility Trainings and Show Rings. All our dogs are OFA Health Tested, all have OFA health certified CHIC numbers. They are with diverse, AKC Champion, European Bloodline backgrounds. Start at the age of 4 weeks old, puppies meet with all adult dogs in the house. They are consistently stimulated by different footings, environments, sounds, in and out of the house/farm. All dogs are fed with premium Holistic formulated dog food, USDA Certified Organic raw goat milk, kifer, organic vegetables, and fruit daily. We use organic treats for their trainings. We special order the non-heavy metal as preservative vaccinations for our dogs, and deworm them with 42 different kind of Organic herbs blend. We do not expect you raise dogs like we do, but we do provide other alternative suggestions for extended puppy families. All females take ample time to recover from whelping puppies. (It can be more than a year between each liter depends on individual.) All these are for a better immune systems for our beloved dogs and puppies we raise. Weekly updated email to families who reserves the puppies, sharing various holistic protocols. Life-time Support to all puppy parents. All puppies are raised and evaluated by Avidog Methods to match their new family's lifestyles, needs and energies. We believe it is the best for the puppies, owners, and breeder. THE FIRST AND MOST goal for us is finding loving PET HOMES for our beloved puppies. 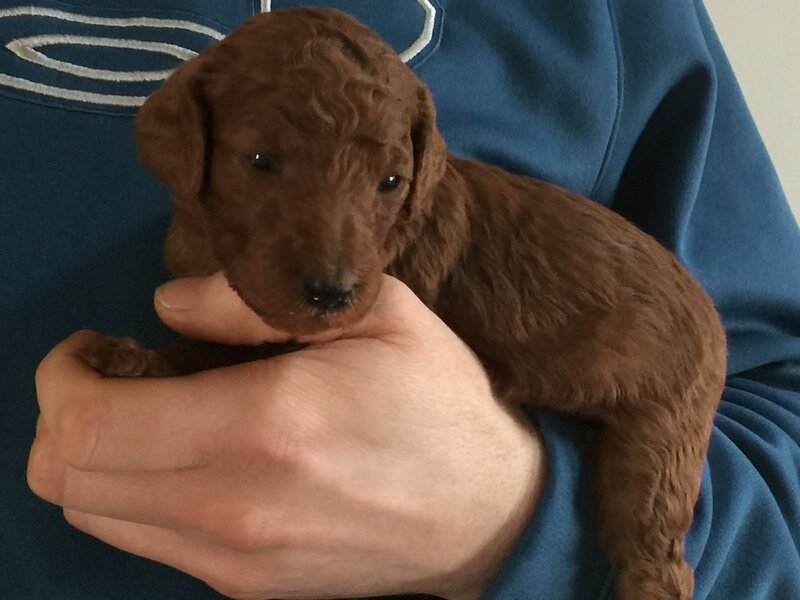 WE REQUIRE PUPPY APPLICATION FOR EVERY OWNER WHO IS INTERESTED IN OUR STANDARD POODLES. PLEASE EMAIL AND REQUEST or DOWNLOAD AN APPLICATION. THERE IS A $500 NON-REFUNDABLE DEPOSIT WHEN THE BUYER DECIDE TO WORK WITH US, AND WISH TO RESERVE A PUPPY. LAKE SAI FARM HAS THE RIGHT TO REFUSE SELLING OUR BELOVED DOGS TO ANYONE WHO WE DO NOT THINK IT WILL BE THE BEST INTERESTS TO THE ANIMALS. WE ACCEPT CASH, CASHIER'S CHECK AND PAYPAL. Lake Sai is a working farm! And Thank you for your interests in our Amazing Standard Poodles. We do receive many enquires daily. Please make sure if you are 100% ready in all aspects and WANT to adopt a poodle before you contact us. Before scheduling a visit to our farm, please submit your application. 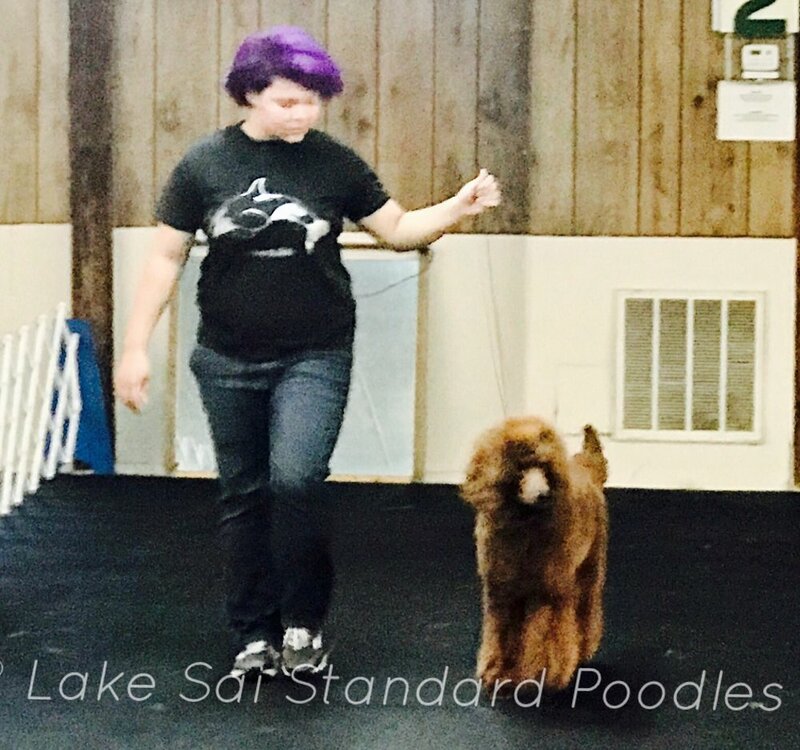 Want to Stay Current with Lake Sai Poodles Updates? LAKE SAI FARM HAS THE RIGHT TO REFUSE to SELL OUR BELOVED DOGS TO ANYONE WHO WE DO NOT THINK IT WILL BE THE BEST INTERESTS TO THE ANIMALS. ALL photos were taken at our farm. They are not allowed to copy or paste in any other sites. Thank you!